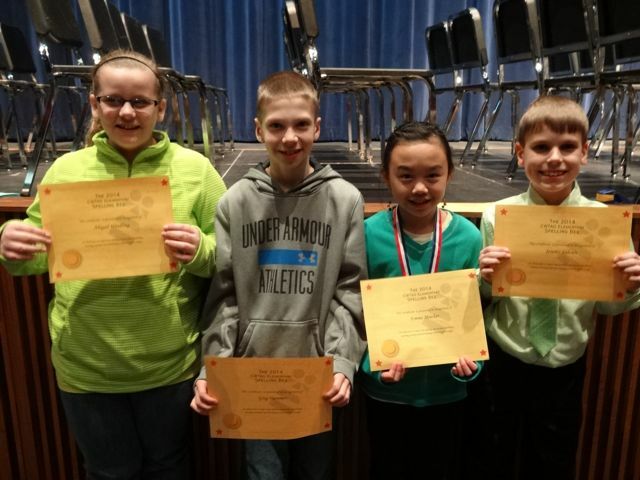 Four students participated in a regional Spelling Bee in Reedsburg. They had to spell words such as adroitly and imperious! This year there was an added section where students had to choose a definition for a given word. That turned out to be easier than spelling. 41 students from 9 school districts participated. Congrats to Emma M. who won the bronze medal!